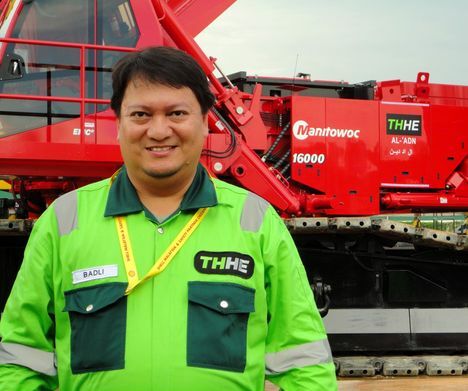 Malaysian offshore fabricator TH Heavy Engineering Berhad has recently taken delivery of two 400 tonne Manitowoc 16000 crawler cranes from Manitowoc distributor UES Group. The new cranes will be based at the Pulau Indah fabrication yard in Salangor, Malaysia, and will be used for building offshore oil platforms. They will specifically assist with fabrication and out-load activities for legs, piles, decks, panels and other components that make up the platforms. Established in 2002 TH Heavy Engineering specialises in the construction and maintenance of onshore plants, crane manufacturing and servicing, marine operations and support services.